Stashed in a duffle bag, a defaced 9mm handgun was recovered after a man was arrested for assaulting another – FREE TO GO days later under NJ Bail Reform Act. Hackensack, NJ – Gabriel Lora, 32, was arrested after allegedly slapping, biting, and shoving a victim earlier in the day that he was arrested. During the arrest, Lora was found in possession of a defaced 9mm handgun. Lora was charged with various weapons charges – along with aggravated and simple assault. After being sent to Bergen Count Jail, Lora was later released and FREE TO GO under NJ Bail Reform after the Arnold Foundation’s “Pretrial Risk Assessment” tool determined he was not a danger to the community or a flight risk and therefore should not be subject to any accountable release – just a “promise” to appear. Hackensack police seized a handgun that they said an assault defendant had stashed in a duffle bag. The 9mm Smith & Wesson seized from Gabriel Lora, 32, had a defaced serial number and a magazine that was loaded with eight rounds, Capt. Peter Busciglio said. Police were called last Wednesday after Lora returned to an address where he slapped, bit and shoved a victim earlier in the day, Busciglio said. 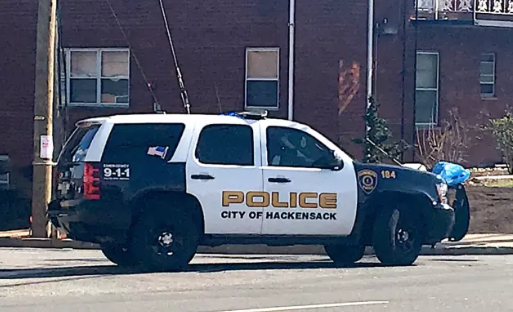 Officer Raymond Donnerstag found Lora soon after in the parking lot at the 7-Eleven at Huyler and Wesley streets in South Hackensack, the captain said. Lora gave police consent to search both his car and South Main Street apartment and admitted that he had a handgun in the duffle bag, Busciglio said. Police seized the handgun and charged Lora with various weapons counts – including possession of a defaced firearm — in addition to aggravated and simple assault, he said. They sent him to the Bergen County Jail, only to have a judge order his release three days later under New Jersey’s 2017 bail reform law.